photo or short clip to stand a chance to win attractive prizes. 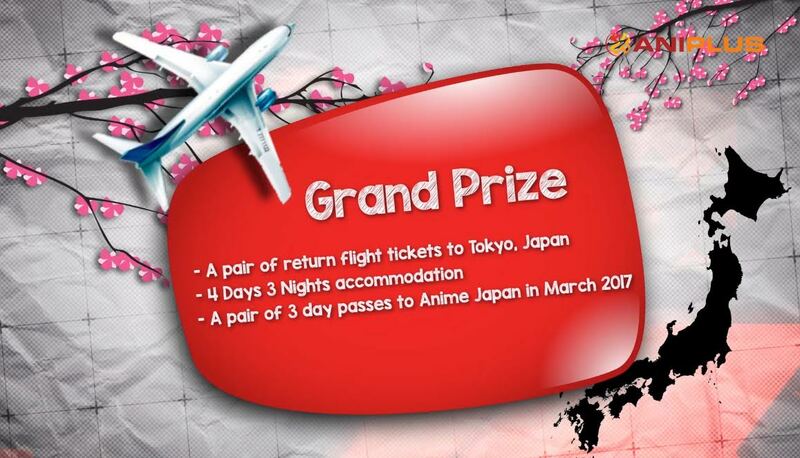 accommodation and a pair of admission passes to Anime Japan 2017! with my friend”, said Austein. headphones, X-Mini speakers and limited edition ANIPLUS goodie bags. photograph is related to anime, you’re good to go! impress us with your dedication to anime! bursts will be competing for the Grand Prize. For more information, visit: http://www.aniplus-asia.com/anime/.